Nobody can MacGyver a fix for a car like Cuban mechanics. All they need is a handful of dirt, some spit and a chewed up shoestring, and—boom—they’ve got a rebuilt transmission. 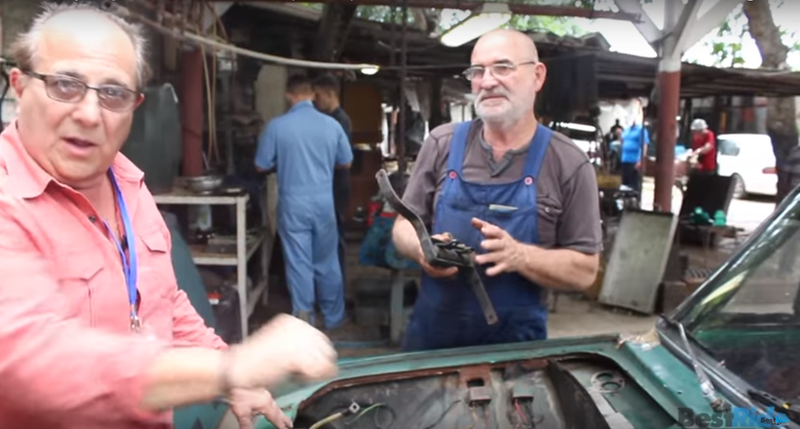 Here’s Ray Magliozzi from Car Talk showing just how resourceful the Cubans are with a wrench. Magliozzi, the final member of Click and Clack the Tappet Brothers—the iconic car-diagnosing team from the radio show Car Talk— joined up with BestRide for a trip to Havana to have a look at a couple repair shops. Magliozzi shows us a custom-made vibration damper, a hydraulic-to-cable clutch system conversion, and a very interesting fix for a drill press. Perhaps the funniest fix, though, was the flex-plate, which the mechanic simply turns around once the gear for the starter motor wears down. Despite having built up a $600 Jeep with junkyard parts (and lots of zip ties and tape), I’m simply an amateur compared with Cuban mechanics. They are my heroes.